Legally blind writer Daniel Saynuk has a special fondness for guide dogs. His own beloved guide dog helps him more easily live his life in his home town of Baltimore, Maryland. Daniel began writing stories while pursuing his Business Administration degree, and established his own company to bring this book to life. 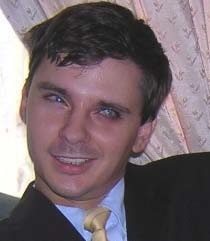 He is passionate about educating others about the valuable services guide dogs provide to the visually impaired. 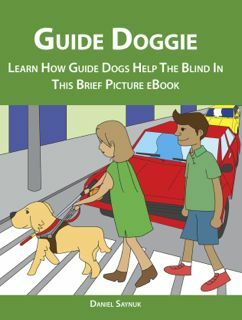 This fun and unique brief ebook is a great way to introduce children to the world of a guide dog. Help educate your child while they have fun with Guide Doggie! Meet Guide Doggie when he is a puppy, then follow him on his adventures during guide dog training. Learn what a guide dog does during the day, including the chores he completes for his handlers in order to keep Guide Doggie ready to serve. Your child will learn how guide dogs help the blind live more independently, and how dogs can be heroes too! With narration of the book done by a guide dog each page is a fun an educational adventure for all ages. 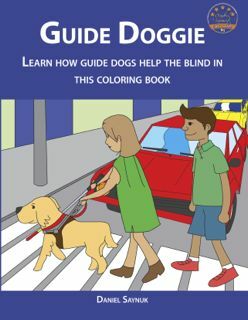 This fun and unique coloring book is a great way to introduce children to the world of a guide dog. Help educate your child while they have fun with Guide Doggie! Meet Guide Doggie when he is a puppy, then follow him on his adventures during guide dog training. Learn what a guide dog does during the day, including the chores he completes for his handlers in order to keep Guide Doggie ready to serve. Your child will learn how guide dogs help the blind live more independently, and how dogs can be heroes too! With narration of the book done by a guide dog each page is a fun an educational adventure for all ages. Your child can color the pages, making it an interactive as well as educational learning experience. Fill in the blank pages let your child get involved in telling the story, and fun bonus games including a word search, crossword puzzle and, word jumbles based on the story will help your child remember what they learned! 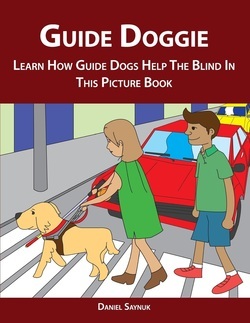 This fun and unique full-color book is a great way to introduce children to the world of a guide dog. Help educate your child while they have fun with Guide Doggie! Meet Guide Doggie when he is a puppy, then follow him on his adventures during guide dog training. Learn what a guide dog does during the day, including the chores he completes for his handlers in order to keep Guide Doggie ready to serve. Your child will learn how guide dogs help the blind live more independently, and how dogs can be heroes too! With narration of the book done by a guide dog each page is a fun an educational adventure for all ages. This version of Guide Doggie not only is full-color but also has larger text of 16 point for large print readers.